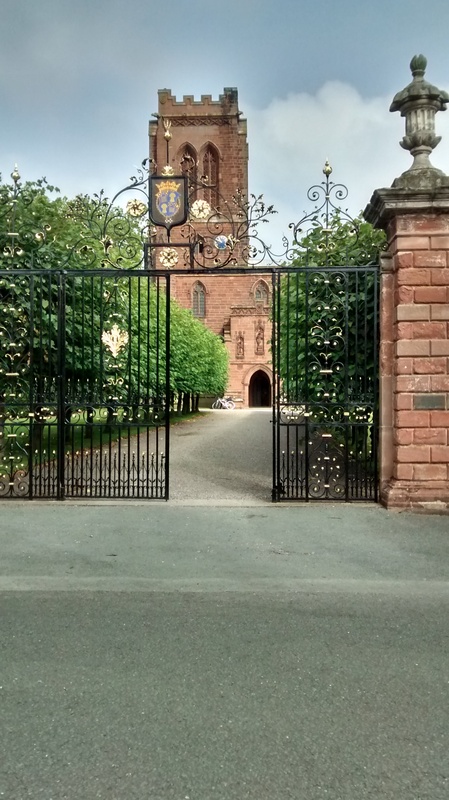 In early September my wife and I travelled to Chester to visit our younger son and his partner. 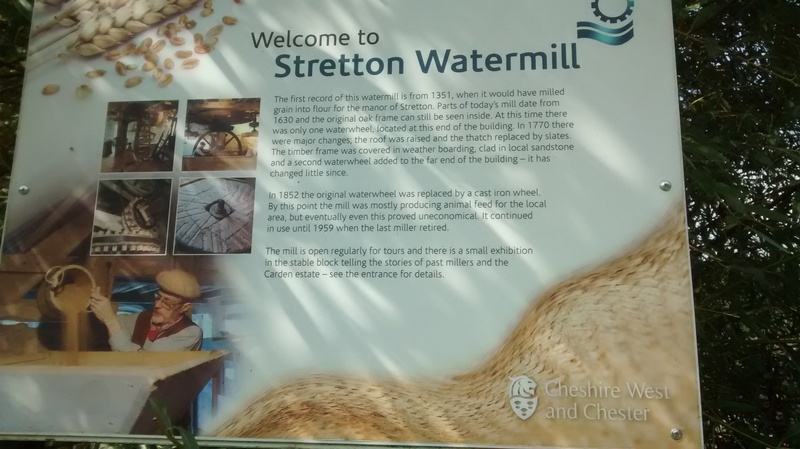 My wife`s sister also lives in Chester. Her husband, Andy, shares my interest in the great outdoors and we planned a day of cycling. We cycled from Andy`s house and headed through Handbridge to the Dee. The temperature was rising so we stopped at Eccleston Church to take off a layer. 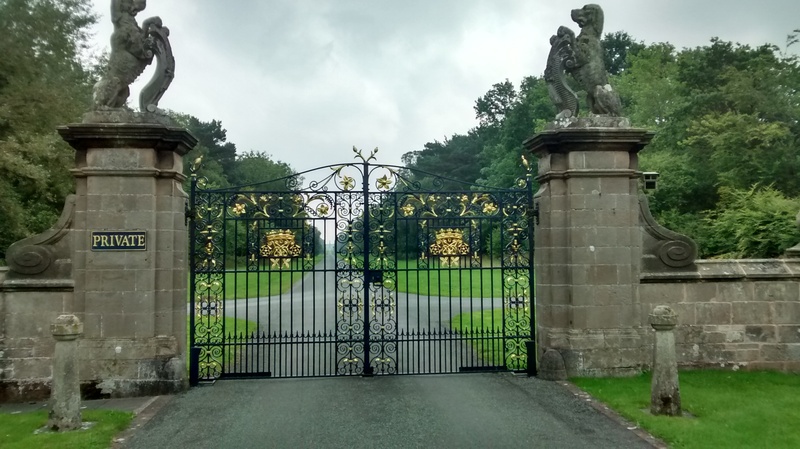 Just down the road we came to one of the gates leading to the Duke of Westminster`s estate. Almost immediately a disembodied voice queried our business, I decided against humour and merely said that we were having a rest! Our route continued on through Poulton, Pulford, Lavister, Trevalyn into Holt and Farndon and back into Holt to find a cafe for coffee and a flapjack. I forget the cafe`s name but they kindly offered to fill our water containers. 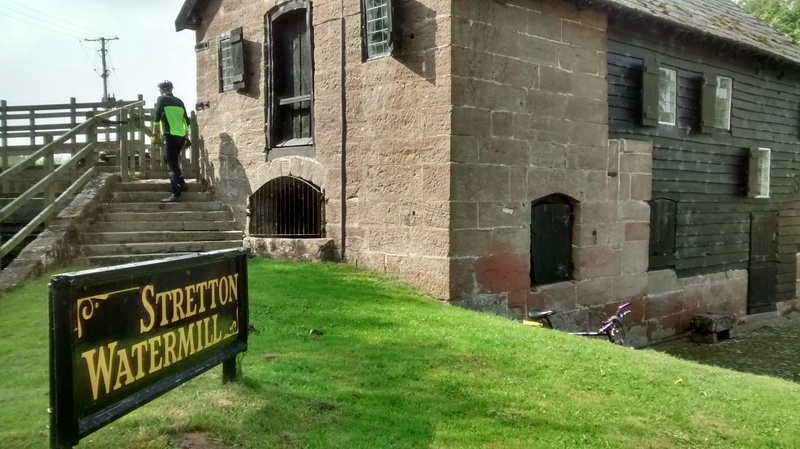 Refreshed we cycled back into Farndon and then heading south east to Stretton and a visit to the Mill, which was closed today. As we were feeling fairly fit a decision was made to cycle on south to Malpas. Now Andy whether we are hill walking or cycling, always out paces me but patiently waits. This went wrong a mile or so from Malpas. There was a junction, one road to Malpas and the other to Malpas Station. I decided to take the main road to Malpas – uphill – but near the top there was no sign of Andy and so I cycled back down to the junction and rode a short way down the other road but this quickly became a grass centred lane. Back I went up the hill thinking I may well have to find my own way back, but then Andy appeared looking for his slow brother in law. We bought food in Malpas and sat on the steps of a monument. I suppose we had covered some 20 miles by now and feeling quite smug, until two young guns stopped by us on fancy road bikes and told us they had covered 77 miles and were now returning! Our return was now due and we backtracked to Farndon and then on to Churchton, Aldford, Huntingdon and into Chester along the Dee passing the Roodee racecource with the lady racegoers dressed to the nines. Back at Andy`s the bike computer showed 40 miles covered, my furthest one day ride – so far.